Recently North Korea created an international buzz by announcing that it had successfully tested a Hydrogen bomb. For the common man, it was just ‘a bomb’. But do we understand the ramifications of this test? 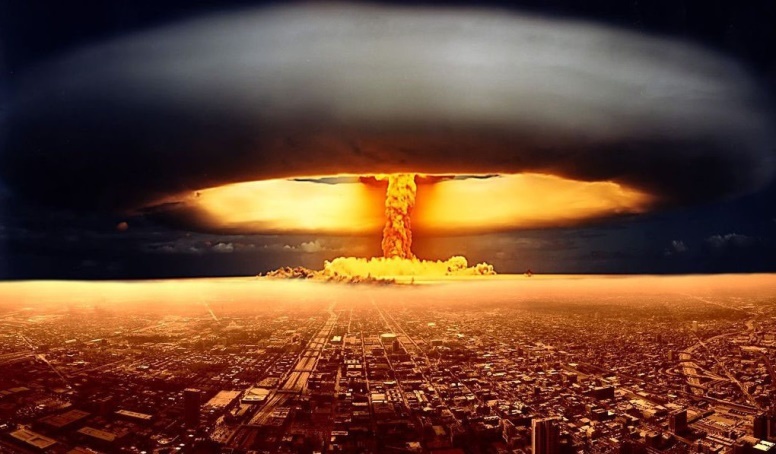 Can we at all comprehend what a Hydrogen Bomb is and the kind of devastation it can cause? North Korea already has atomic bombs similar to ones used in World War II. The Hydrogen Bomb is much more powerful than atomic bombs. In fact, they are the most terrifying of the destructive inventions that humans have ever created, so far. Let us explore the difference between atomic bomb and hydrogen bomb. The United States of America used atom bombs against the Japanese during World War II; in retaliation the Japanese attack on Pearl Harbor. Chemically speaking, the process that occurs with these bombs is that of nuclear fission. Isotopes like uranium-235 and plutonium-239 easily undergo fission. When a neutron hits their nucleus, the nucleus splits, releasing more neutrons and a tremendous amount of energy. 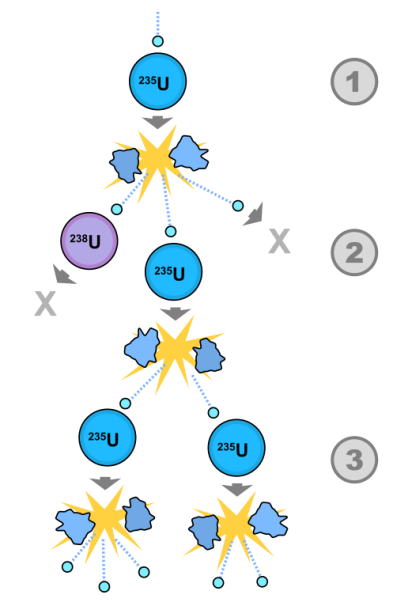 When you have large mass of uranium -235 or plutonium -239, all that splitting and neutron creation leads to a runaway chain reaction. Each time an atom is split apart, it releases more neutrons and energy, which in turn splits apart other atoms and release even more energy. To create an atomic bomb, scientists design explosives that can forge together pieces of uranium-235 or plutonium-239 into critical mass. Once that happens, it is potentially a lethal unit. These bombs are incredibly powerful and designed to create havoc. The two dropped on Hiroshima and Nagasaki completely leveled those two cities, exploding with forces of 15,000 and 21,000 kilo tons of TNT, respectively. The most powerful fission bombs ever built can produce explosions equal to 50, 00,000 of TNT. If that wasn’t bad enough, then came the Hydrogen bombs. These are thousands times more powerful than atom bombs. The first hydrogen bomb the United States ever tested in the Marshall Island in 1952, called Mike, and had a force of 10 million tons TNT. The most powerful hydrogen bomb ever created is a Russian nuke called Tsar bomb, literally “king of bombs” had a yield of 50 megatons of TNT. A blast from the Tsar bomb could cause radiation burns as far as 62 miles away. Windowpanes more than 500 miles away shattered during the Tsar Bomb test. How does the hydrogen bomb work? 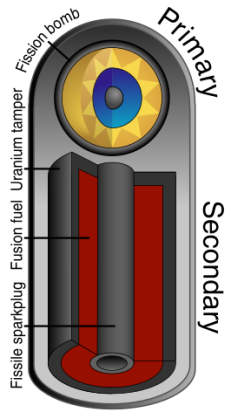 This process of fusion releases even more energy per unit mass than fission does, and the energy released from the fusion reaction also feeds back into the fission reaction, increasing its output. All this happens near instantaneously. Like other types of nuclear explosion, the explosion of a hydrogen bomb creates an extremely hot zone near its center. A sudden overpressure propagates away from the center of the explosion as a shock wave, decreasing in strength as it travels. It is this wave, containing most of the energy released that is responsible for the major part of the destructive mechanical effects of a nuclear explosion. The details of shock wave propagation and its effects vary depending on whether the burst is in the air, underwater or underground.